In April of 2014, I traveled to Cinque Terre, Italy with my husband, his family, and the Mabrey's, our close family friends. Cinque Terre is one of the most beautiful places in the world. One of the most picturesque views of the town Vernazza is in the descent into town from a two hour hike from Monterrosso. 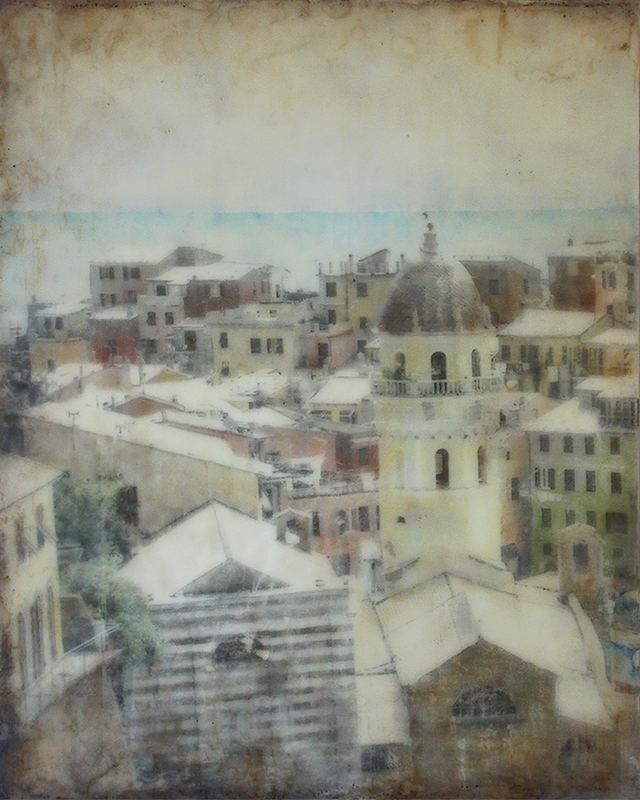 It is this view that inspired a large triptych (three divided panels) commission for the Mabrey's. What an incredible opportunity to create a painting based on a place I deeply connect with and for a family I care so much for! Completing this piece was a long journey. I started over several times. I completely scrapped what I was working on again and again. But each time I came back with new inspiration, motivation, and ideas. 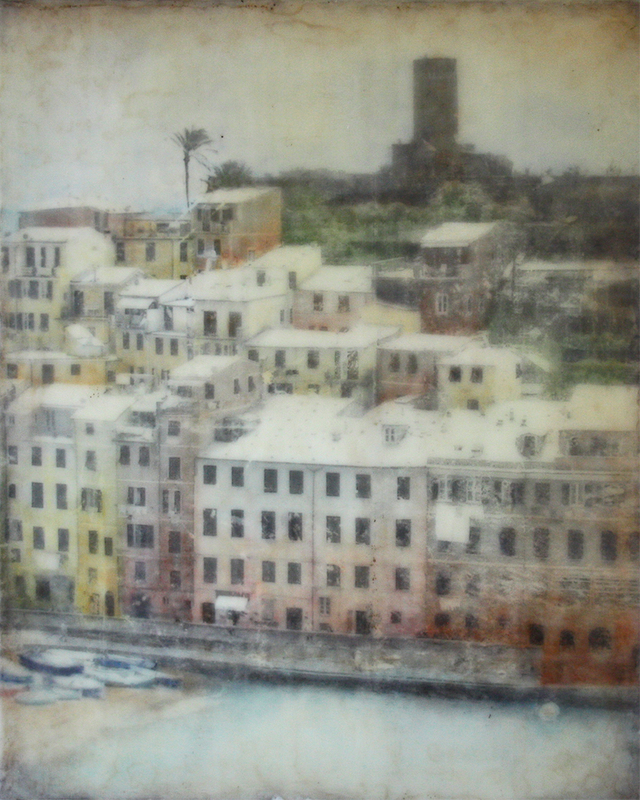 The medium of encaustic proved to be my biggest challenge because of the detail in the image and subject alone. After many trials and many errors, I finally figured out how to achieve the results I was hoping for. I'm very pleased with the outcome and I hope the Mabrey's are, too! I can't wait to see the final piece in their home.